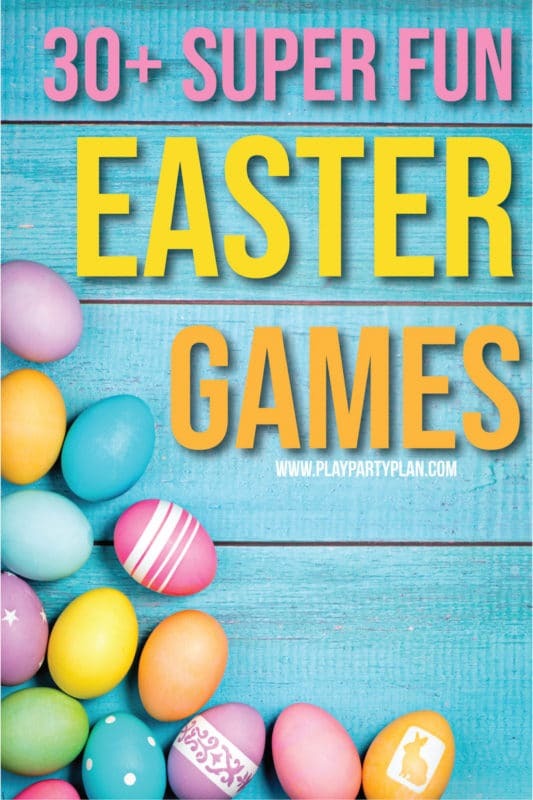 The ultimate list of Easter party games and Easter activities for kids, adults, and all ages in between! 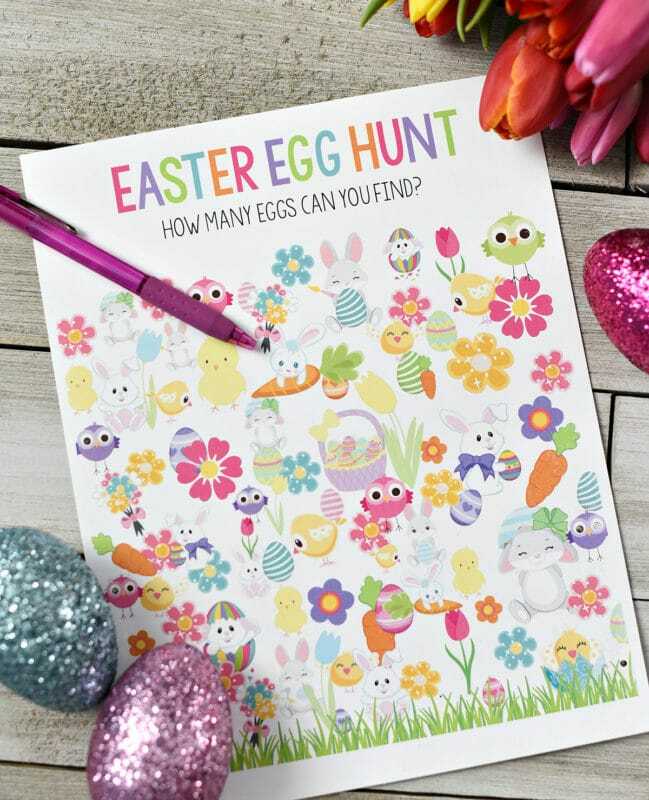 With everything from Easter coloring pages to religious Easter activities, there’s something for everyone and every occasion! 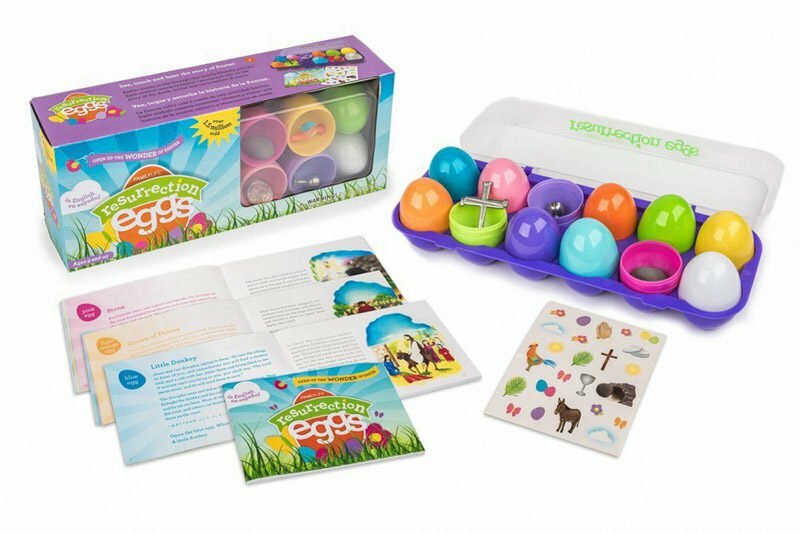 Perfect for your annual Easter egg roll, Easter egg hunt, or even just Easter Sunday! One of my favorite things about Easter, other than the fact that we’re celebrating the resurrection of Christ, is that the season extends throughout the month before Easter Sunday! 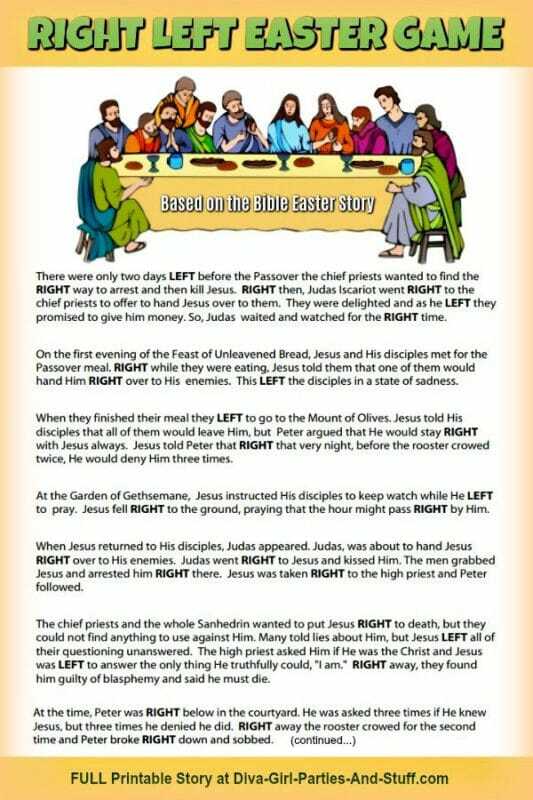 So not only do we get to really focus on Christ on Easter Sunday but we get to enjoy the fun of Easter festivities all month long. That’s especially true this year with Easter being so late in April, unlike last year when it was the first weekend in April and really bled into St. Patrick’s Day and April Fools Day. Not to mention my son’s birthday that’s on April 2nd! 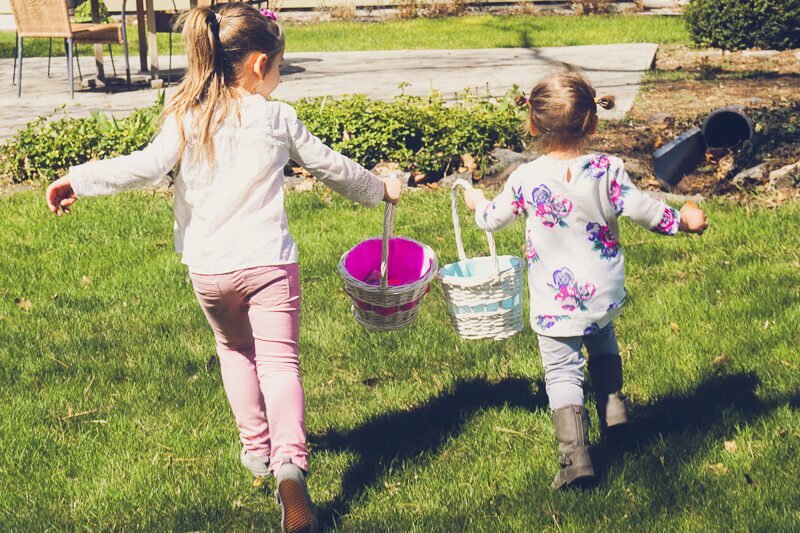 The weeks leading up to Easter you can find all sorts of Easter egg hunts, Easter egg rolls, and other Easter fun happening throughout your communities. And if you’re one of the lucky people planning one of those events or you just want to celebrate Easter with your own family and friends, I’ve put together the ultimate collection of fun Easter activities to do this year! I split this list of Easter activities into different categories to help make it easier to find what you’re looking for. 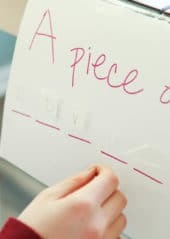 But I do recommend reading through the entire list because some of the ideas were hard to categorize and while I categorized it under Easter activities for kids – it might actually be perfect for a senior home or teens with a few tweaks! Since I love my party games, I’m going to start with Easter party games. These games are best for groups or for a family who wants something a bit more active and engaged! An example would be my super popular Easter minute to win it games! 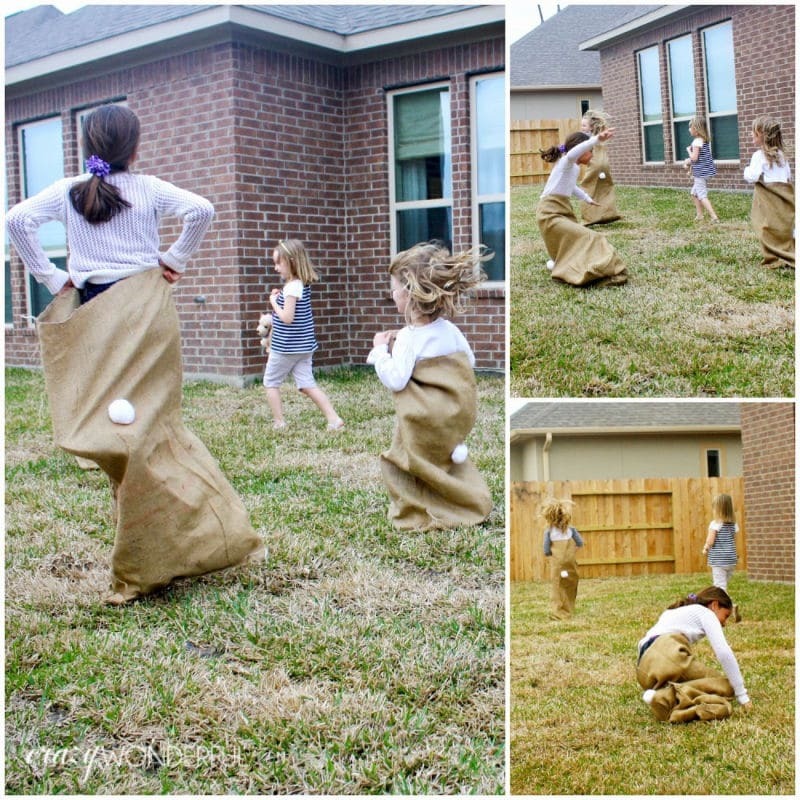 Change up the normal potato sack race and make it a bunny sack race in this fun and active idea from Crazy Wonderful! 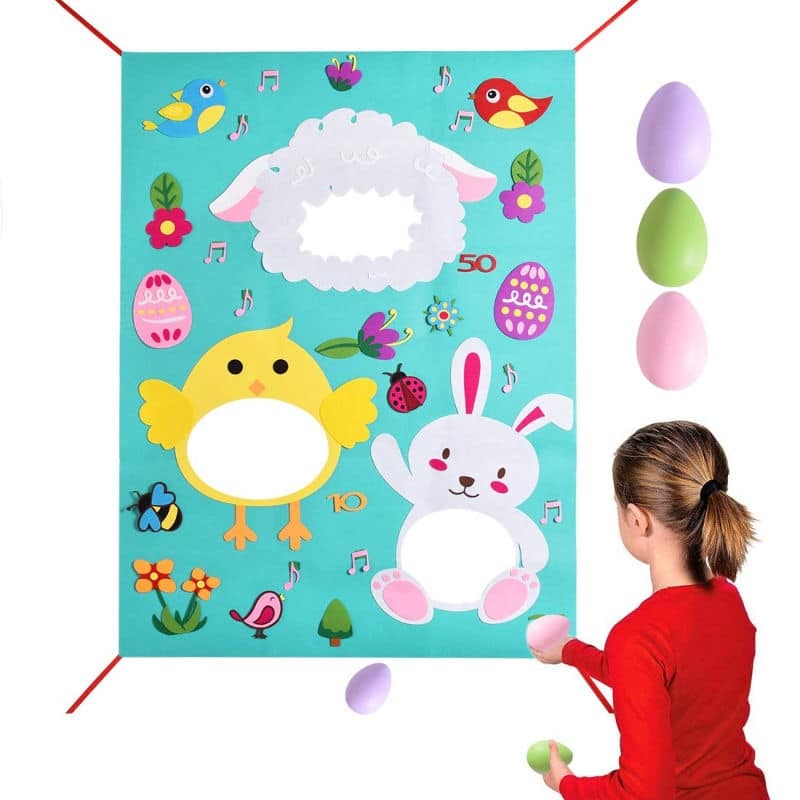 You’re never too old for a little pin the egg on the bunny game! 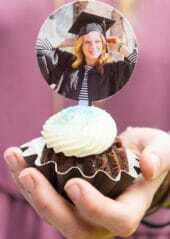 Great for kids or adults – simply spin a few more times! 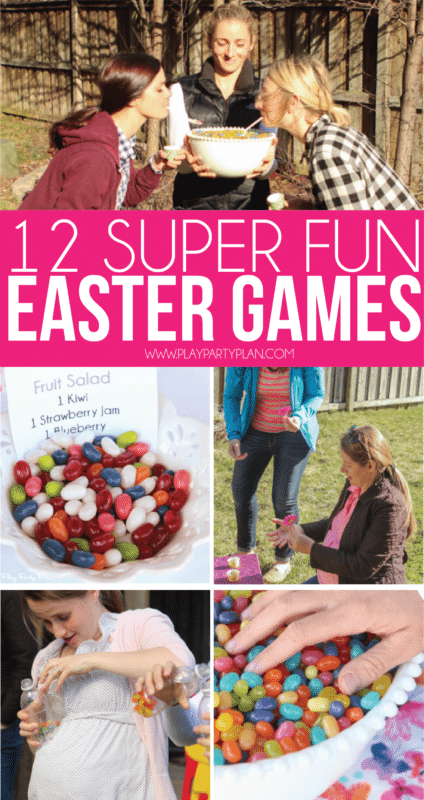 These spring and Easter games from Play Party Plan will have your family and friends trying to beat the clock to complete all sorts of tasks with jelly beans, flowers, and more! Looking for something to get everyone moving? 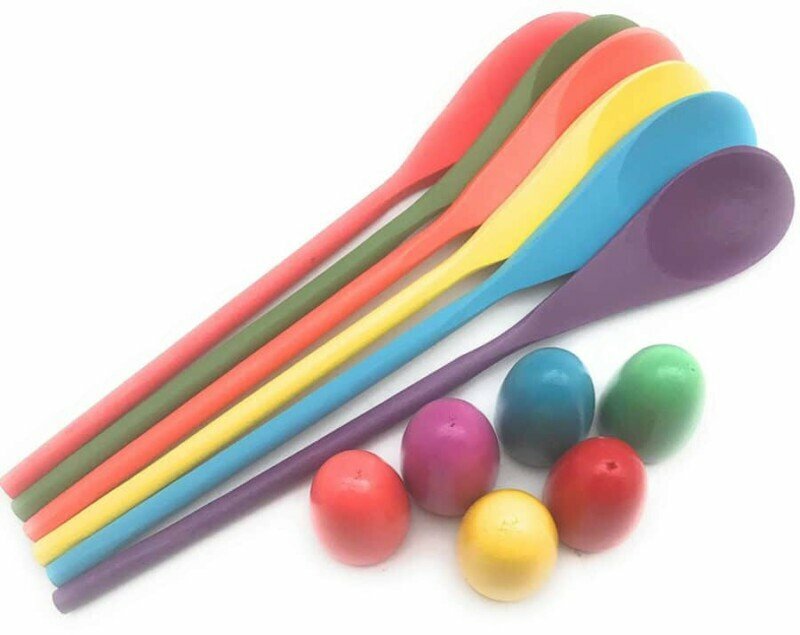 This egg and spoon race is color coordinated and perfect for burning off a little energy from all that candy! 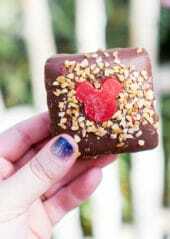 Try out any of these unique Easter egg hunt ideas – the golden ticket one is a family favorite! 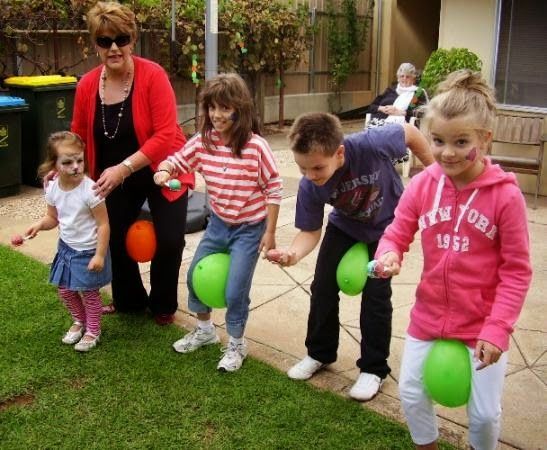 Players have to race with inflatable eggs (aka) balloons across the yard in this fun game idea from Kitty Groups! A bean bag toss isn’t just for kids! See who can toss eggs through the holes in this Easter egg scene! This chicken drop game from Must Run in the Family reminds me a lot of one of my 12 days of Christmas games! It’s both challenging, hilarious, and fun! Unlike the Easter party games above, these Easter activities are designed for kids. 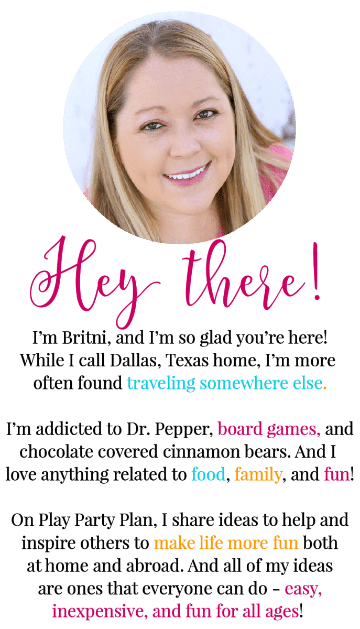 They’re worth checking out for adults, seniors, and teens as well (just tweak a bit) but mostly they’re designed to be fun and easy for kids! See who can find the match an egg first in this candy filled Easter game from Play Party Plan. 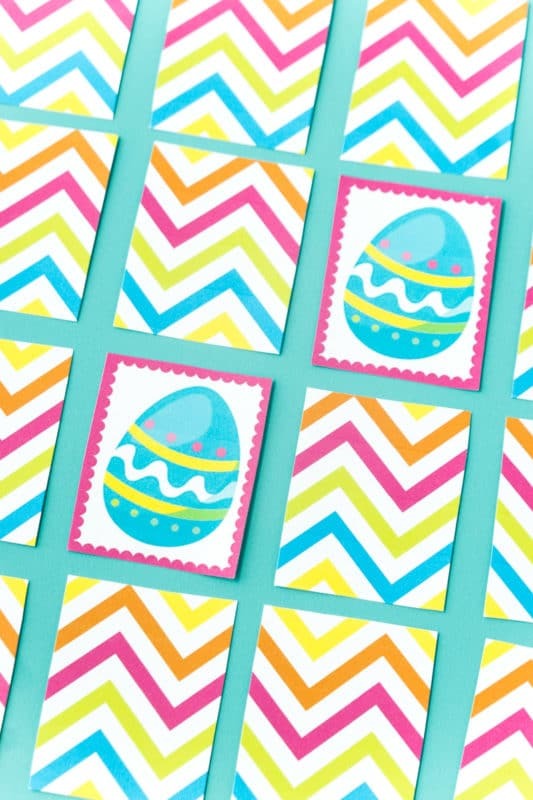 Or try one of the other Easter games that include the free printable Easter stickers in this post! 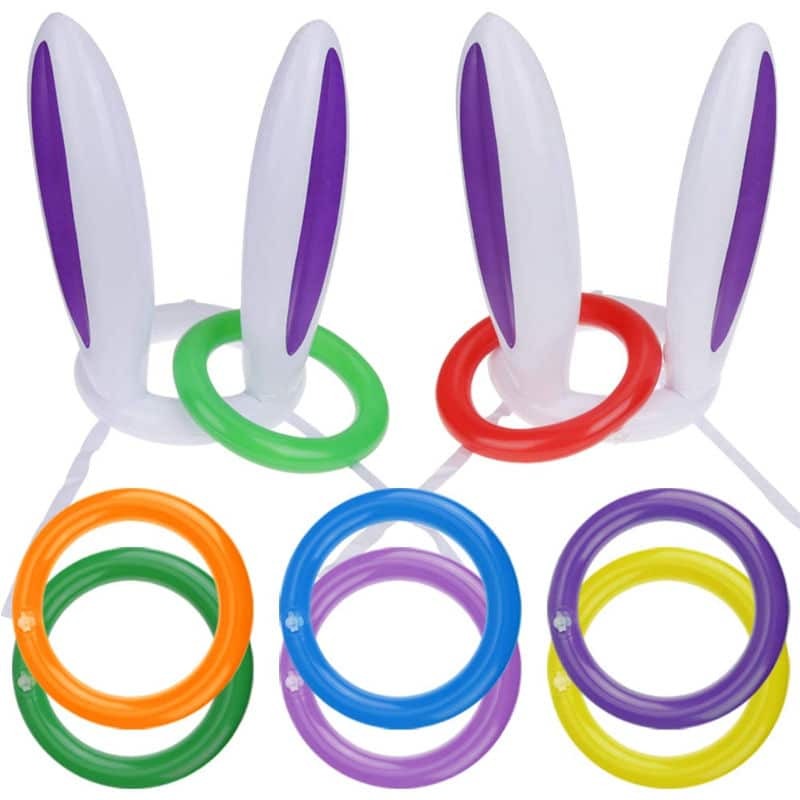 This inflatable bunny Easter ring toss would be perfect to have around to play with little supervision! Just let the kids see how many bunnies they can ring! 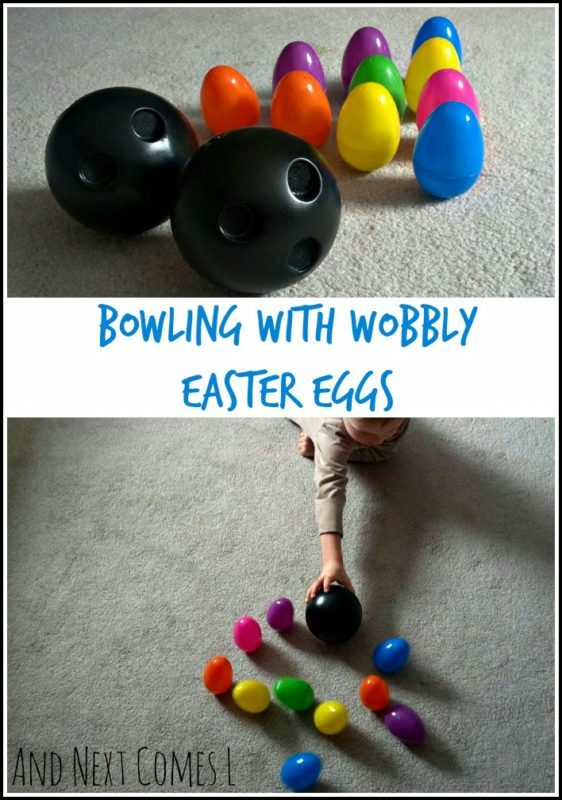 Mix up a regular bowling game with this wobbly egg bowling game from and next comes! Looks a little easier than my pumpkin bowling! 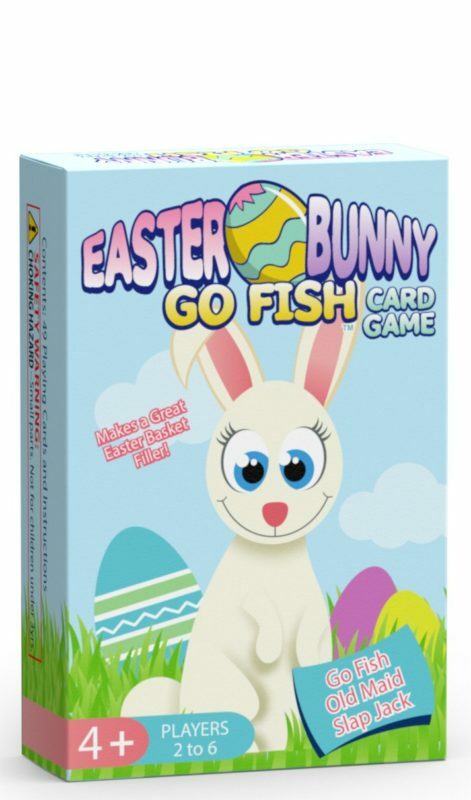 This Easter Go Fish game is a fun Easter themed alternative on a classic favorite! These Easter activities are ones you can print out and play. They might fall into the Easter party games or Easter activities for kids categories above as well but if they’re printable Easter activities, I put them here! 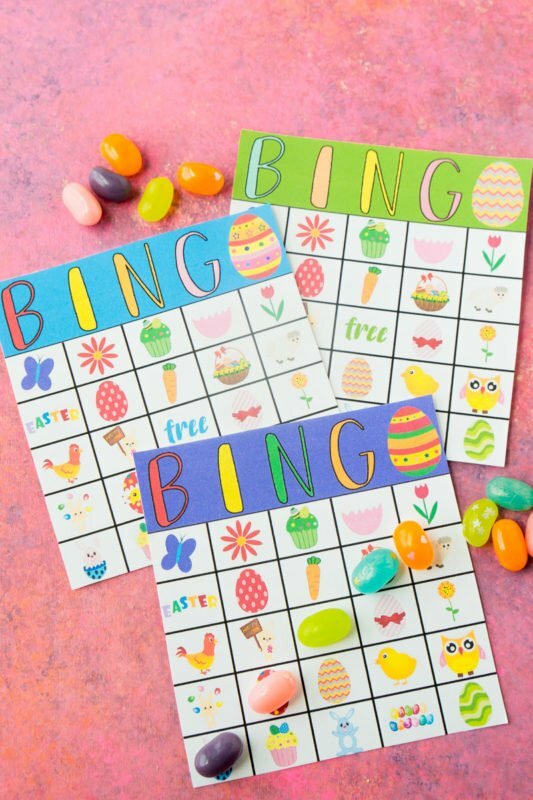 Let’s start off with a Play Party Plan favorite – these darling Easter bingo cards! Get up to 40 unique cards here then just print and play! 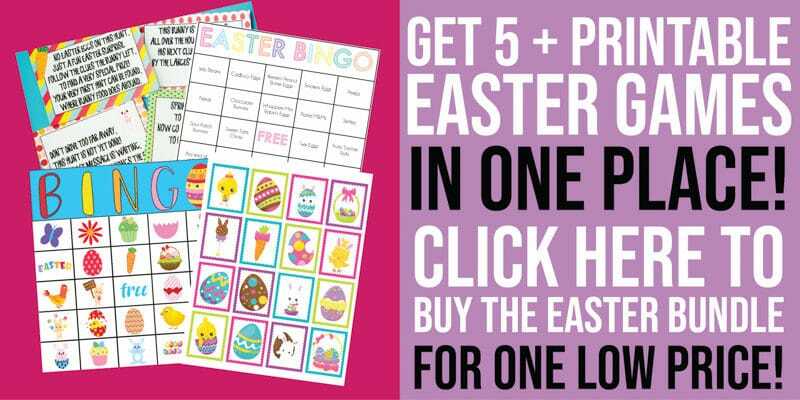 Want to do something other than traditional Easter bingo? 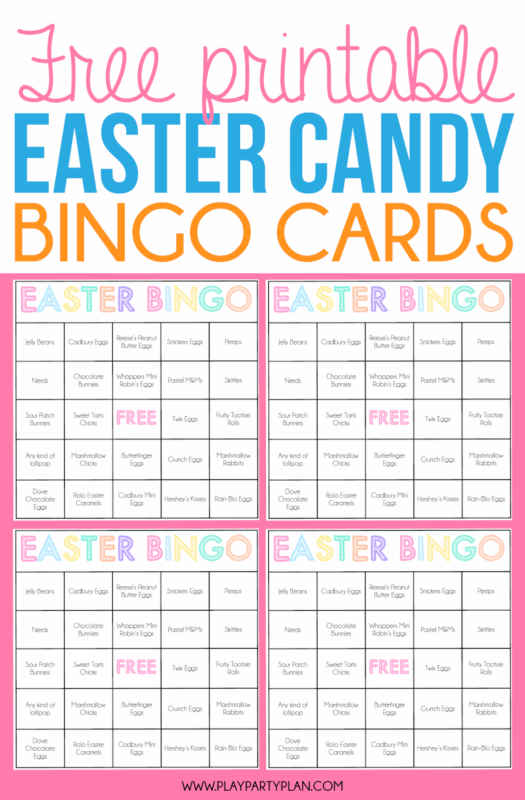 Try this Easter candy bingo game as an alternative instead. Want a fun way to lead kids to Easter baskets on Sunday morning? 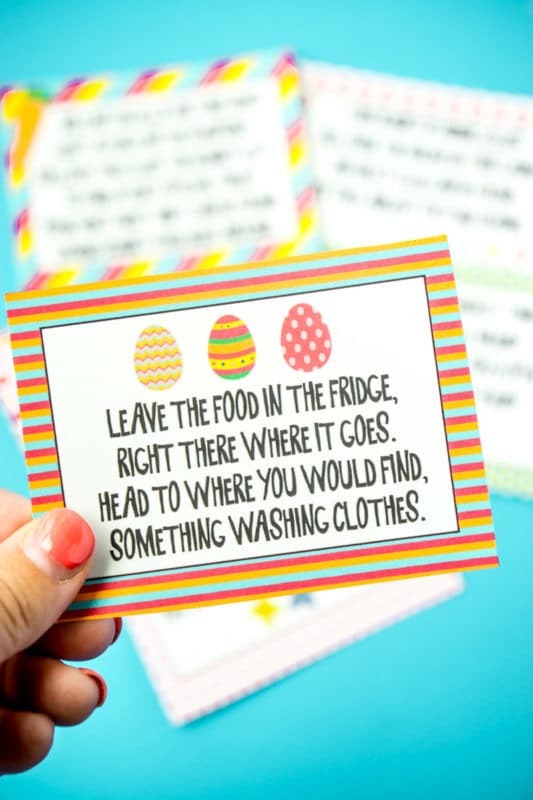 Try this Easter scavenger hunt from Play Party Plan! See who can find the most matches in this printable Easter memory game from Play Party Plan! This printable egg hunt game from Fun-Squared is perfect for kids who love I Spy! 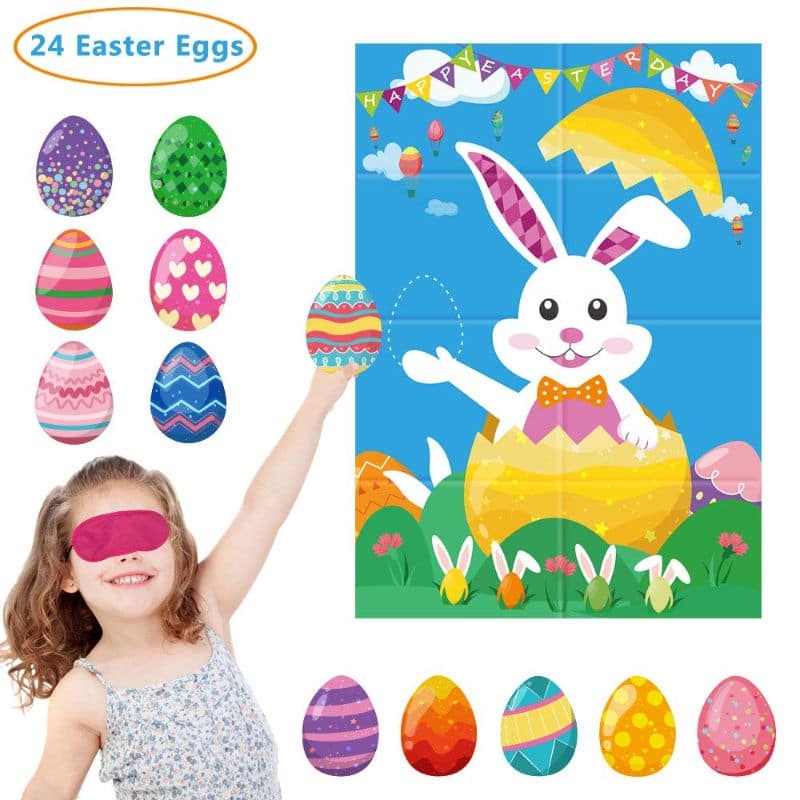 Simply see who can find the bunny on the printable page first! Want something to make your Easter table a little more festive? 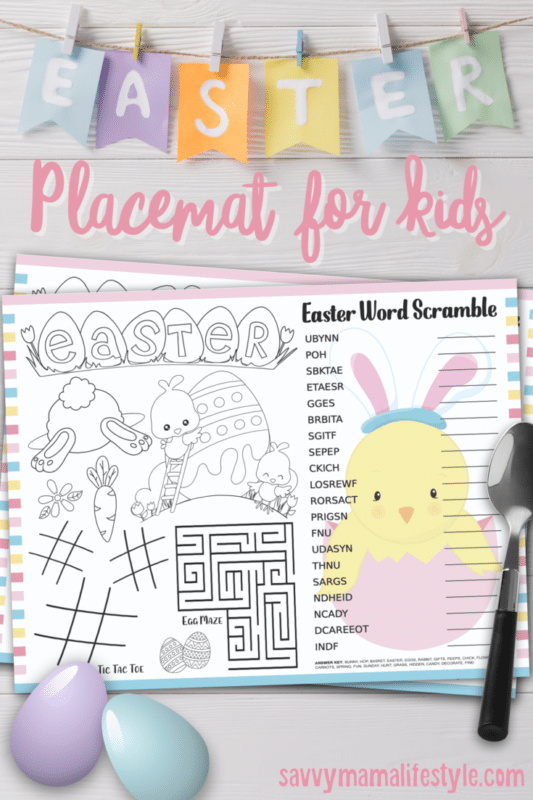 These printable Easter placemats from Savvy Mom Lifestyle are the perfect way to add a little entertainment to your Easter table! 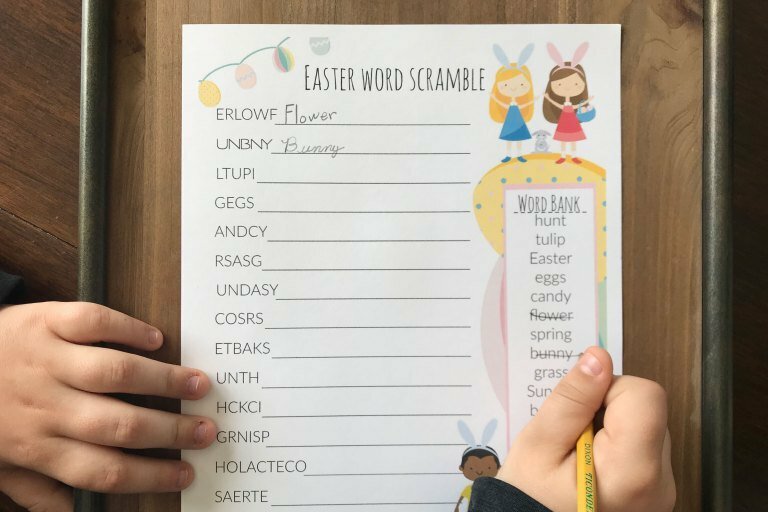 See how many words you can figure out in this printable Easter word scramble from Productive Pete! 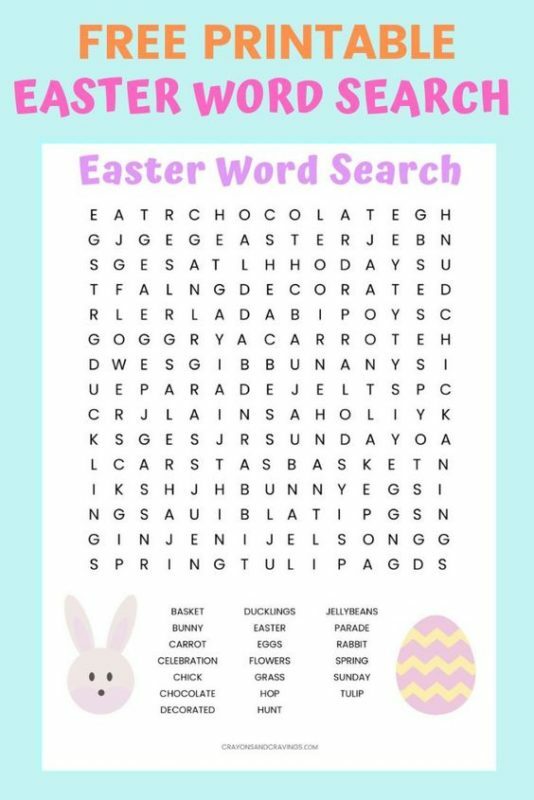 Or if you want to know what words you’re search for, this Easter word search from Crayons and Cravings is a great option too! 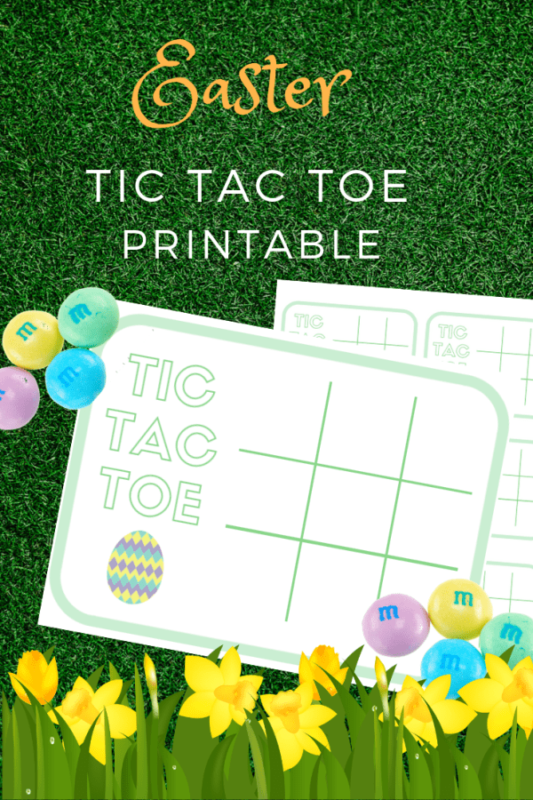 This Easter tic tac toe printable from Pleat and Pom would be a great option for breaking out the week of Easter! 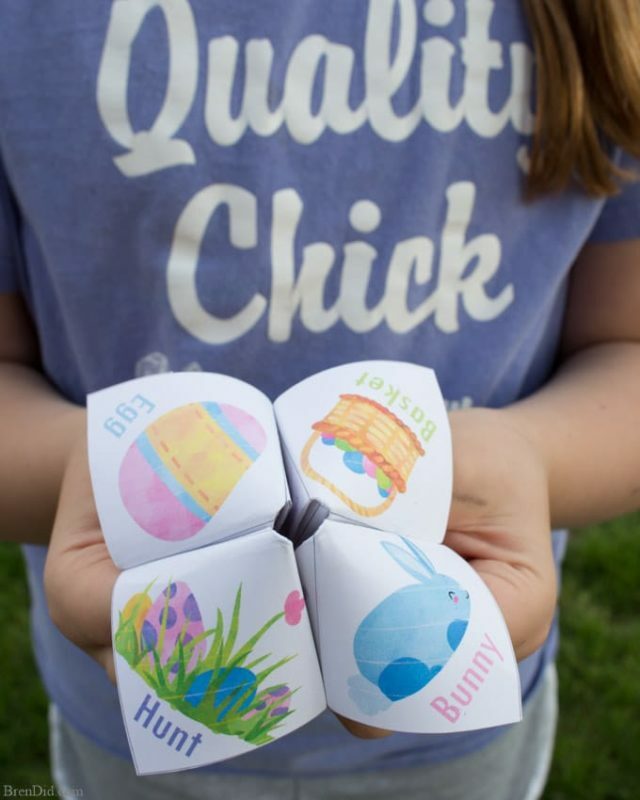 These printable Easter joke tellers are a fun for both kids and adults – kind of remind me of the fortune tellers we used back in the day! Want all sorts of printable Easter games in one place? Click here or the image below to get the Easter game bundle with five printable games that kids will love! The reason we celebrate Easter is Christ, so it only makes sense to include a category of Easter activities that focus more on Christ and religion. They’re still fun (of course!) but they’re religious in nature. 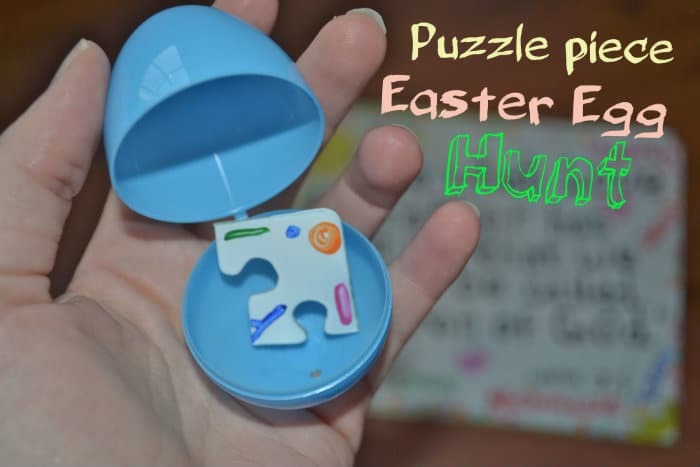 This puzzle hunt idea from Make the Best of Everything is a great way to incorporate a religious theme into an Easter scavenger hunt! 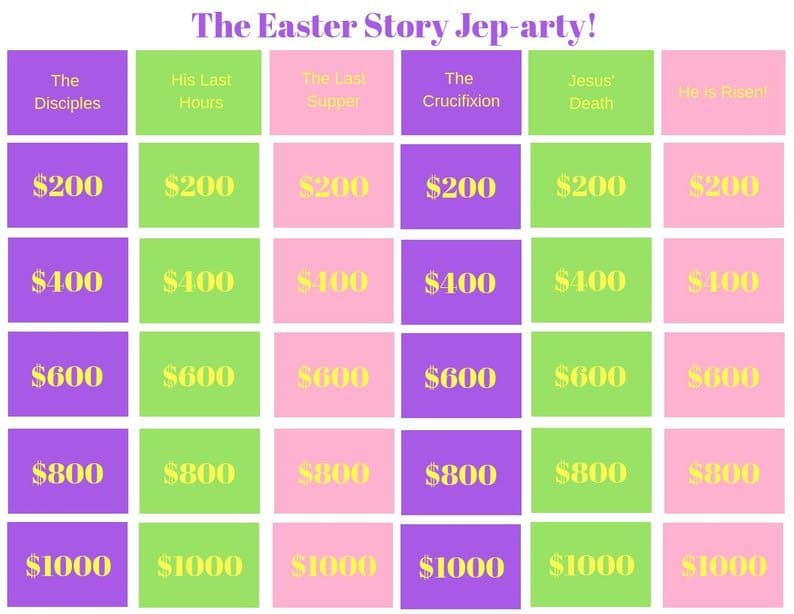 This Easter Jeopardy game is a fun way to talk about why we celebrate Easter! 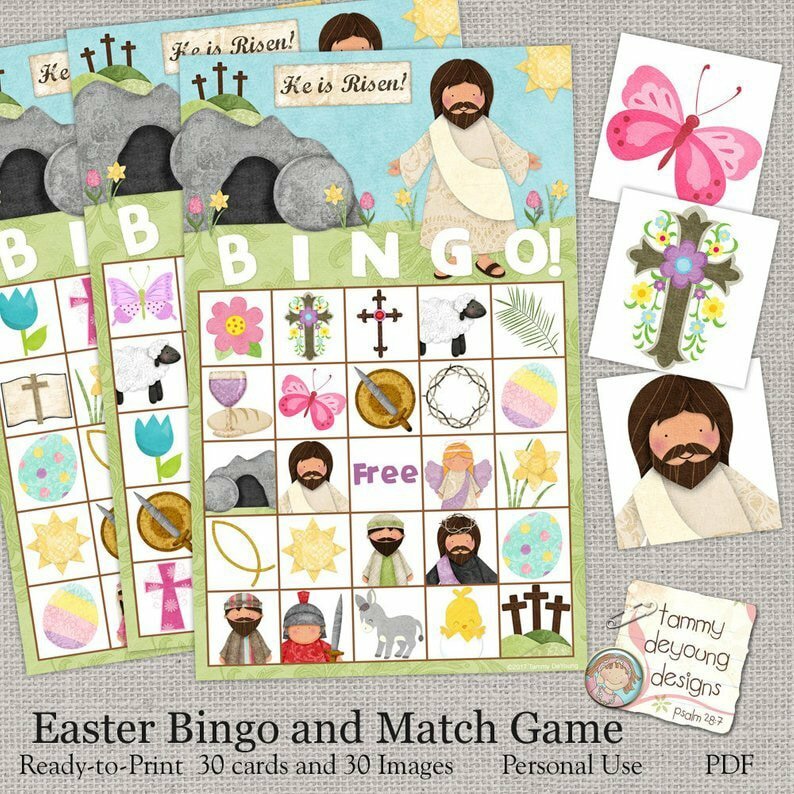 This Easter Bible Bingo combines a religious element with the fun of a classic bingo game! Open up these resurrection eggs as a family and talk about the story of Easter! 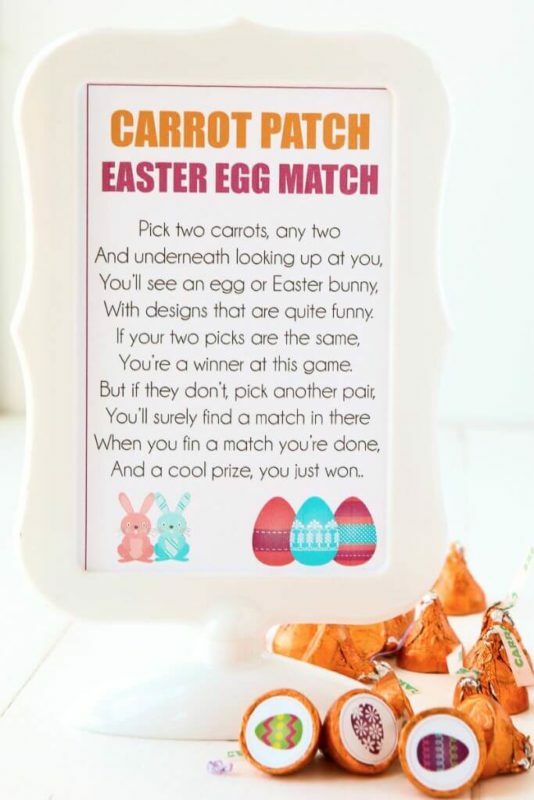 This right or left Easter poem from Diva Girl Parties would be perfect if everyone brought an Easter egg filled with a surprise to share! 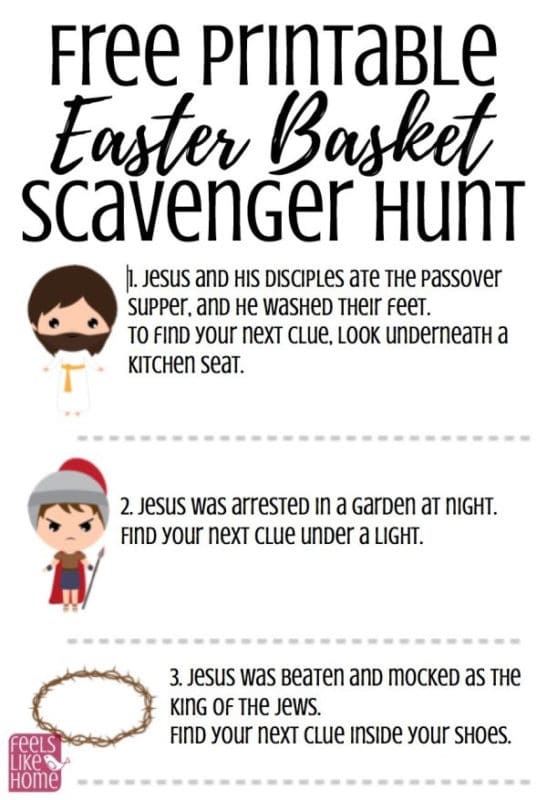 This Christ centered Easter basket hunt from Feels Like Home is a great way to remind your kids it’s not all about the Easter basket! 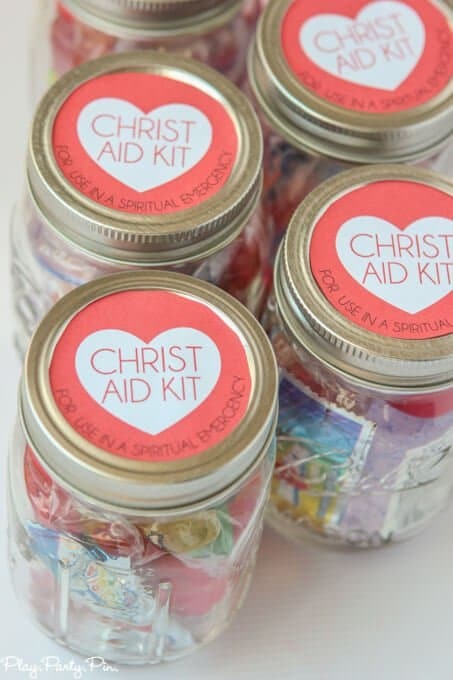 Another fun idea would be to put together these Christ Aid Kits (with the listed goodies inside) and deliver them to friends and family in the neighborhood! Last but not least, other Easter activities that didn’t really fit into any of the categories above! They looked so fun I wanted to include them somewhere but they’re Easter activities that just don’t fit into another category well. This Peeps-Catapult activity from One Mommy is one of those that doesn’t fit into a category above, but it sure looks fun! 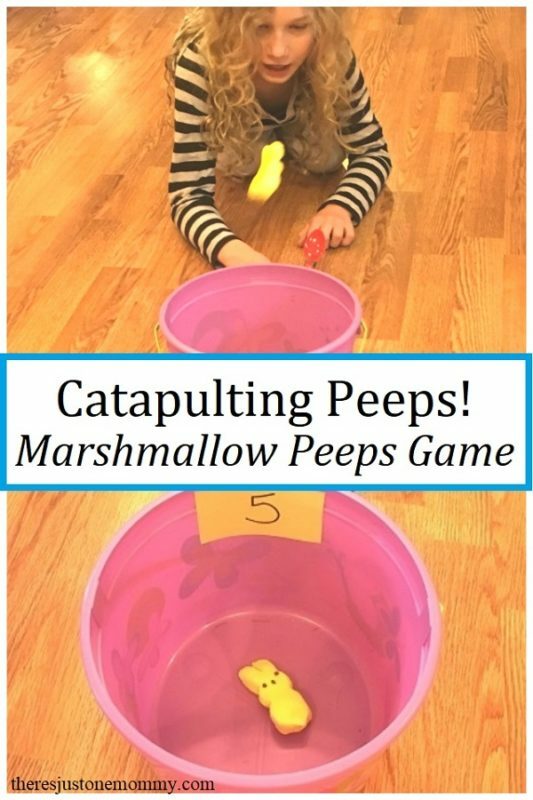 Use these DIY instructions to create a catapult to shoot Peeps marshmallows into a bucket! 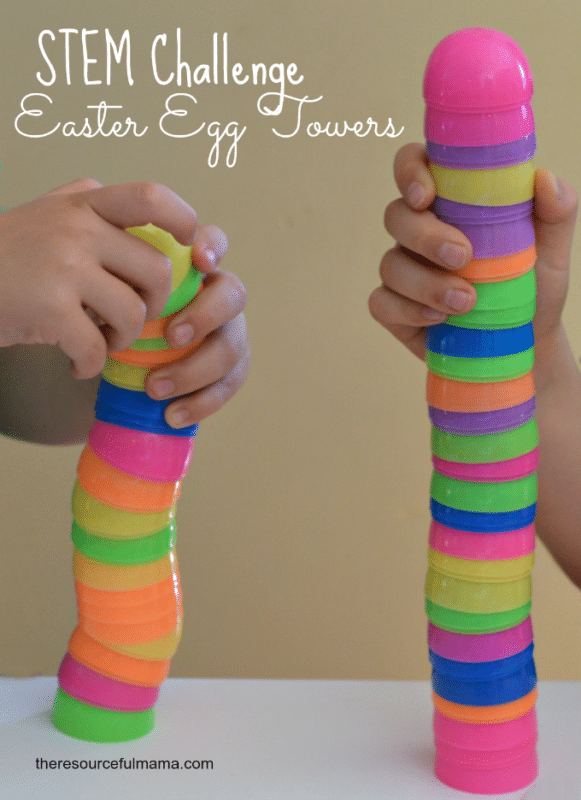 This Easter egg towers game from Resourceful Mommy is another fun one to work on STEM and motor skills. 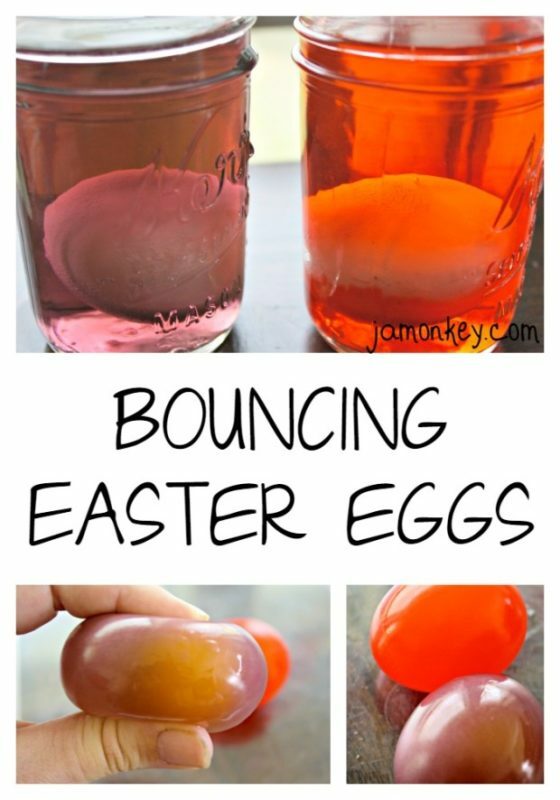 Want an Easter themed science experiment? Check out this idea from Jamonkey to see how to create your own bouncing Easter eggs. Last but not least, it’s always fun to egg someone else! 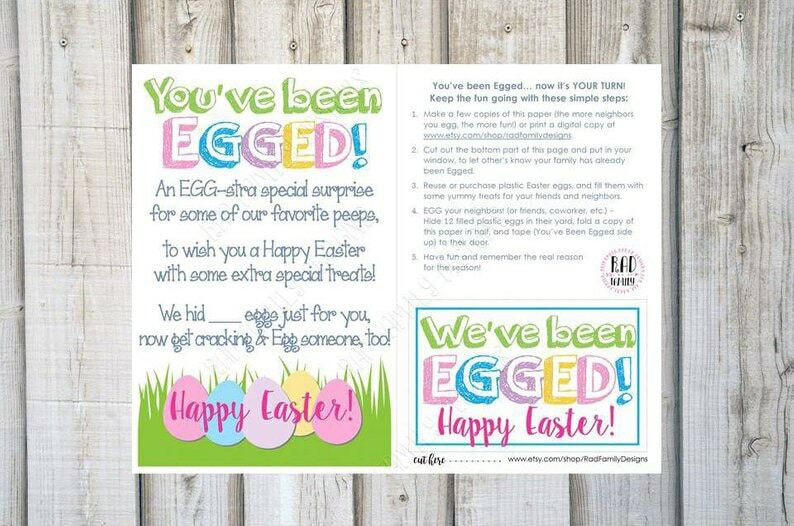 Print out these “You’ve Been Egged” signs and deliver them with a basket of Easter goodies to friends and family! Don’t forget to pin these Easter activities for later!